This article seeks to address some of the issues pertaining to an ESL class for custodial workers at the University of South Florida. These students are several the USF dorm custodial workers. The university grants these staff members permission to leave work 85 minutes early on Friday afternoons to attend these classes; however, attendance is not mandatory. This class has been in existence for several years and through the years, has been through several iterations. My name is Lisana Mohamed and I’ve been an ESL instructor at USF’s English Language Program for many years. I, too, am an immigrant to the United States from Guyana. The students are all from Latin America. They emigrated to the United States for better and more job opportunities, and to have a safer life for themselves and their families. They come to this class because they are eager to learn, eager to get a better grasp of the language of their adopted country, eager to gain social and economic mobility. Most of these students own their homes here in the US and work hard to be equal participants of this society. Several of the male students hold down two jobs. After meeting the students, and realizing that their needs went beyond the linguistic, I decided to incorporate principles of critical pedagogy (Freire, 1998; Canagarajah, 1999; Norton & Toohey, 2004). I perceived the need to expand students’ worldview beyond workplace English by incorporating principles of critical pedagogy (Freire, 1998.) and was motivated to help students see themselves as agents in their own lives with the ability to advocate for themselves. In the beginning, the classes were held in a recreational room in one of the dorms of the University of South Florida Tampa campus. There was nothing in this room except a white board and several plastic folding tables. The chairs had to be brought in for the classes to take place. The textbook being used when I first started teaching the class is called At Work in the US. I found the book to be limiting in its scope and condescending in its content. It assumes that as immigrants to this country, the only language these learners would need would be vocabulary for cleaners and factory workers and it assumes also that the potential of the immigrant worker is to remain in this type of employment. Each chapter of this textbook focuses on teaching vocabulary specific to a blue-collar type of job. There is little or no skills building. Each chapter is structured in much the same way, the primary focus being vocabulary building. Moreover, there is no listening or speaking component in the book. Having experience with curriculum design, I know the wealth of materials available. These students were clearly motivated and have a wealth of potential. They deserved more than what this classroom and book offered them, so I asked my supervisor for permission to use our computer lab to hold these classes. The subsequent semester, the class was relocated to the ELP computer lab and for five semesters, the class, has been held there. Before moving the class to the computer lab, the lessons were teacher fronted. This is what the classroom setting allowed and to what the students were accustomed. The students didn’t participate much in group work and were often hesitant to negotiate meaning with a partner or display their ideas on the board. There was scant building of knowledge and a lack of awareness of how to discover on the part of the student. Needless to stay that after I negotiated to be the primary instructor of this class, I have stopped using the At Work in the US textbook. The lessons are now customized for the group and worksheets are designed to meet their specific needs. The content is chosen to enable them to see themselves as agents in their own lives. I digitize the materials on the Canvas platform that the university uses. The class is now learner centered in order to include students’ unique experiences and social identities in the United States. The class encourages reflection on past experiences and promotes a goal-oriented future view. While recently writing about their “bucket lists”, their dreams and goals ranged from becoming interpreter to taking piano classes at USF and to losing weight and living healthier lives. Content topics for the class were chosen based on the desire to empower the learner and to broaden their computing skills. Some of the topics around which I build lessons are: understanding the internet, its terminology and uses, understanding the difference between civil rights vs. civil liberties and exploring their basic premises. Another topic which gave rise to healthy discussion was volunteering in society and giving something back. This promoted a lot of healthy discussion and I found that most of them have active roles in their communities, volunteering at nursing homes and at their churches. My colleague, Ariadne Miranda, developed and delivered a lesson around understanding the University system, the importance of unions, how unions got started and the benefit of being a member. 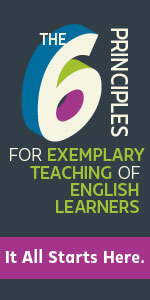 All the lessons focus on developing, listening, speaking, grammar, reading and writing skills. The effectiveness of the redesigned curriculum is measured qualitatively in students’ motivation to attend each week; their feedback about how beneficial the classes are, also indicates that not only do they enjoy learning but their confidence and facility in using English are both growing. Having taught this class for two years, I have had to face the reality of what teaching this class means and to reconcile it with certain assumptions I had previously held. One such assumption I held was that the students would welcome the challenges of the course and that they would see the overall benefit and want to attend for self-improvement reasons. Many older students ceased attending after the class migrated to a computer lab. There was an inherent fear of technology. In addition, the voluntary nature of the program made it permissible for some students to stop attending. I had also thought that they would want to seek opportunities offered at the University to further their education but, multiple outside demands (e.g. multiple jobs, family) prevent them from seeing themselves as doing more and reaching higher goals; however, they always brighten when class discussions center around their taking credit bearing classes at USF. I also had to adjust my lesson planning to curtail practicing strategies and language only in class time since their lives are so demanding and their free time leaves them no opportunity for outside practice. Another assumption, perhaps the most erroneous I had had, was that they would naturally pick up more complex computing skills and they would be able to use technology with little difficulty. I felt this way this because they are all smart-phone and app savvy, so it was, to me, a logical conclusion to make. However, being smart-phone literate does not translate to computer literacy. They had difficulty accessing Canvas (USF’s learning management system) and their emails. Using an application on a cell-phone requires tapping the app and immediately being immersed into the world of that application. However, using websites requires memorization of certain steps for instance, opening a window, using the URL bar to search for a website, knowing where to click and remembering what each icon does. It took approximately eight to ten weeks for them to feel comfortable and confident logging into Canvas and navigating their way around it without asking for help. Now these learners who were previously hesitant to use computers are now au fait with the Canvas platform. Their success rates on computer quizzes on Canvas is higher than before because there is less anxiety associated with taking a quiz on Canvas. One of the students, Sara Maradiaga, who has been a student in the class from the beginning said to me during the first semester in the computer lab, “Please go more slow for us, teacher. We need more time. We cannot catch the information so quickly and also using the computer is hard for us.” This forced me to rethink my teaching methods in this class. Most of my students in the ELP are digital natives so I became used to their speed with using technology. Now, I have reverted to the teaching philosophy I first decided on when I was in graduate school. In graduate school, I believed that I didn’t teach a syllabus or a curriculum but rather people who are all different and have specific needs. I am without a doubt that these students will, in time and with patience, find their way because their English language needs are being recognized. Teaching this class has been a humbling experience for me. These students show up each week because they want more for themselves and they see that they are capable of more than where they are currently. The empowerment they are garnering comes from several pivotal points - their attendance, their support of each other, knowing that the content selected for the class and materials used in the class support their needs and most of all, being able to see their language abilities augment. Canagarajah, A.S. (1999). Resisting linguistic imperialism in English teaching. Oxford University Press. Critical Studies in Educational Theory. West View Press. Freire, P. (1998). Teachers as cultural workers: Letters to those who dare to teach the edge. Norton, B., & Toohey, K. (2004). Critical pedagogies and language learning. Ernst Klett Sprachen. Lisana is an Instructor II at INTO USF and has been at USF for more than 10 years. For a short period, she taught at Higher Colleges of Technology (Abu Dhabi). After graduating from USF, she returned to Guyana, her home country, where she was a literature and language lecturer. Her interest in this field lies in materials development. For 7 years, INTO USF has been using a content course packet she created for the beginning level reading and writing classes. She also co-created an intermediate level course packet on idioms and slang which has been in use for 5 years. Her passion is in painting and photography; she’s currently working towards her third solo exhibition.